My name is Craig Moore and my hobby is travelling. Here are a few tips to help you plan your next adventure. Where is Riga?, I keep hearing people ask. Have a look at the map. It is on the Baltic. Riga is the attractive capital of Latvia which is now part of the European Union. 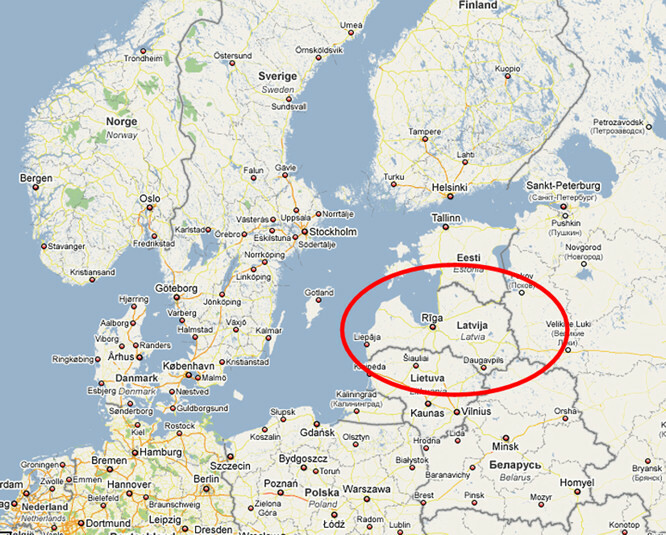 Latvia is between Estonia and Lithuania. Its eastern boarder is with Russia. The architecture is attractive and very Germanic. It was once part of Prussia. Russia invaded and occupied the country twice. The Russians transported about 50% of the population to their death in work camps in Siberia. They also encouraged Russian immigration so today the population is half Latvian and half of Russian origin. This causes problems still today. For the tourist it means you can order Russian dishes like potato pancakes in the restaurants. In world war two the Germans also occupied the country and put the Latvian Jewish population on trains and sent them to concentration death camps. Latvia has had a troubled past but has a new bright future. Do not change your money before you arrive in Latvia. We found that the best rate of exchange can be had at the cash till inside the Riga's Airport Passport control area. There was not a queue. Most people were concentrated on getting through immigration control. In the airport passport control money exchange cash desk the rate was better than in the UK. The arrivals area of the Riga Airport is a bit Spartan. It only had one cafe and a money exchange desk. (the rate was not as good as the in the passport area). I wrongly believed that the arrivals area would also be devoid of shops and eating establishments. When we left Riga we found that there were lots of shops to keep us interested whilst waiting for our plane. Unlike UK airports most of the shops are before you go through security and passport controls. There are only cafes and food dispensing machines in the waiting area by the departure gates. I was surprised that the prices were reasonable. Normally prices are inflated at these locations in other airports. Once you have changed your money and walked out of the customs hall buy a coffee or a bar of chocolate so you have some small change for the bus. 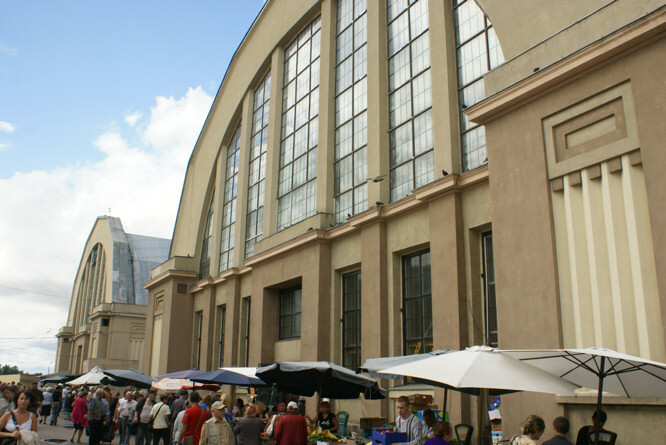 The Airport bus only costs 0.40lats for a single journey to the central bus station near the WW1 Zeppelin Hanger Market halls. The bus takes about 30 minutes to reach the city centre. As you walk out of the arrivals hall you will see a large rectangular car park in front of you. The bus stop is in the far right hand corner. Taxi and Taxi bus drivers will try and stop you and ask if you want a ride into Riga. Say 'Nay' and head over to the bus stop. The 22 and 22a will take you into town. They come every 30 minutes. There is a bus shelter if it is raining. You do not pay the bus driver on the 22. There is a conductor. Pay them the 0.50Lat price of a bus ticket. Public transport in Latvia is very very cheap. On other busses or trams pay the driver and validate your bus ticket by sticking it in the yellow boxes on the handrails to get it date and time stamped. If you do not do this you can be fined. The 10 km journey into Riga does not take long. The outer suburbs are run down, shabby with a lot of graffiti. The clean historic old town of Riga is totally different.